John Wayne, director Howard Hawks and Joanne Dru on the set of “Red River” (1948). Portrait of Cary Grant and Myrna Loy in Only Angels Have Wings directed by Howard Hawks, 1939. Photo by John Springer. On set of Bringing Up Baby. 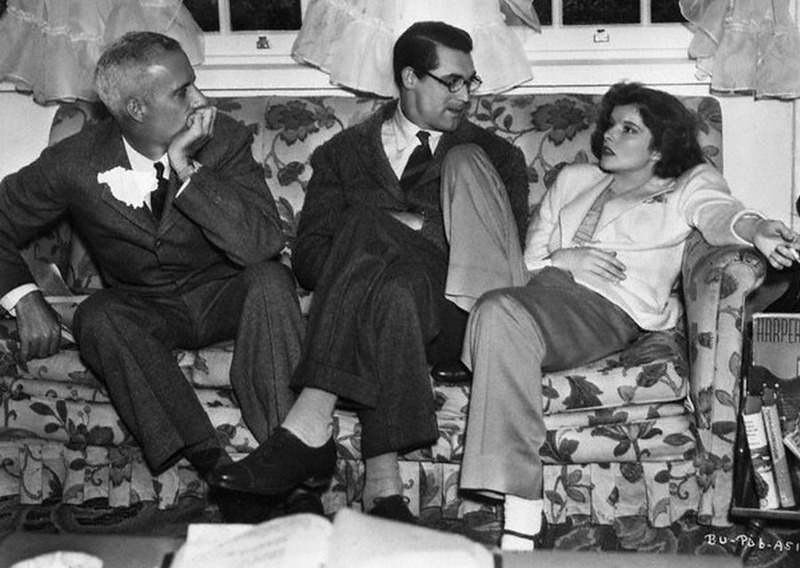 Cary Grant, Katharine Hepburn and director Howard Hawks on the set of Bringing Up Baby (1938). Posted on November 8, 2014 November 6, 2014 Categories novemberTags 1938, Bringing Up Baby, Cary Grant, Howard Hawks, Katharine HepburnLeave a comment on On set of Bringing Up Baby.